There has been a lively discussion about a proposed development at 1801 Young Street, currently a vacant lot adjacent to First Presbyterian Church (which contributes to the Harwood Historic District). 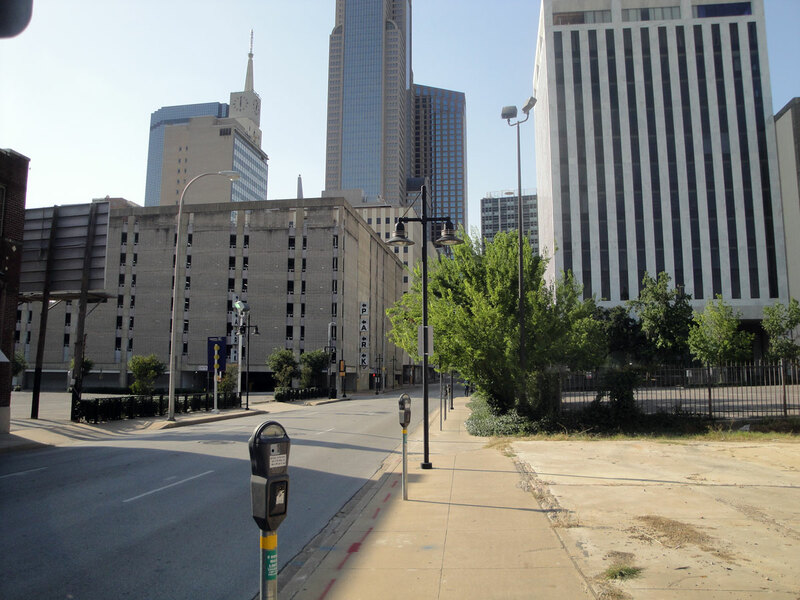 The parcel of land between Wood Street and Young Street sits along a desolate stretch of road midway between the excitement of Main Street, Dallas City Hall and the Dallas Farmers Market. 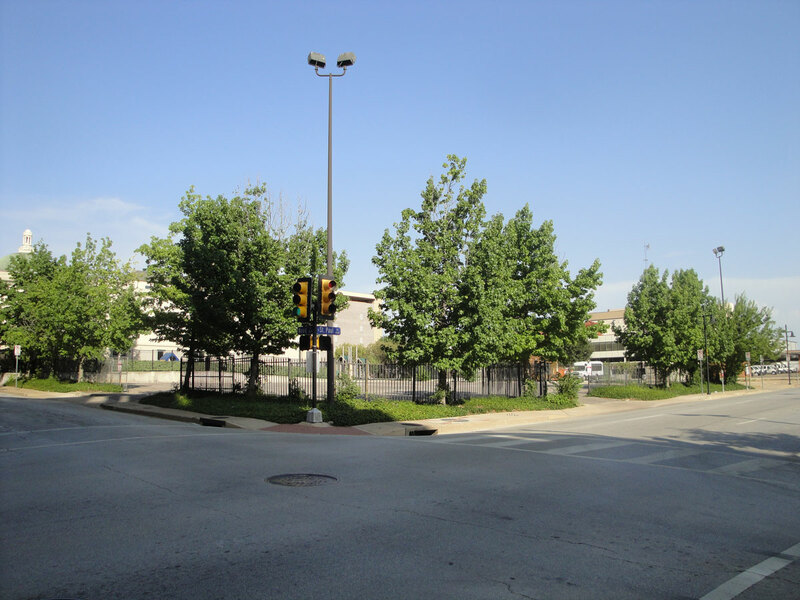 Unlike Harwood Street – which retains many street-fronting structures and monumental architecture – St. Paul Street south of Commerce Street lacks any significant landmarks and is mostly composed of vacant lots and parking structures. For many years the corner of Young Street and St Paul Street featured an interesting brick structure once housing the R.C. Allen Business Machine Company. The building was later used by Atmos Energy for storage purposes and the adjacent surface parking lot was used by employees in the main building complex across Wood Street. 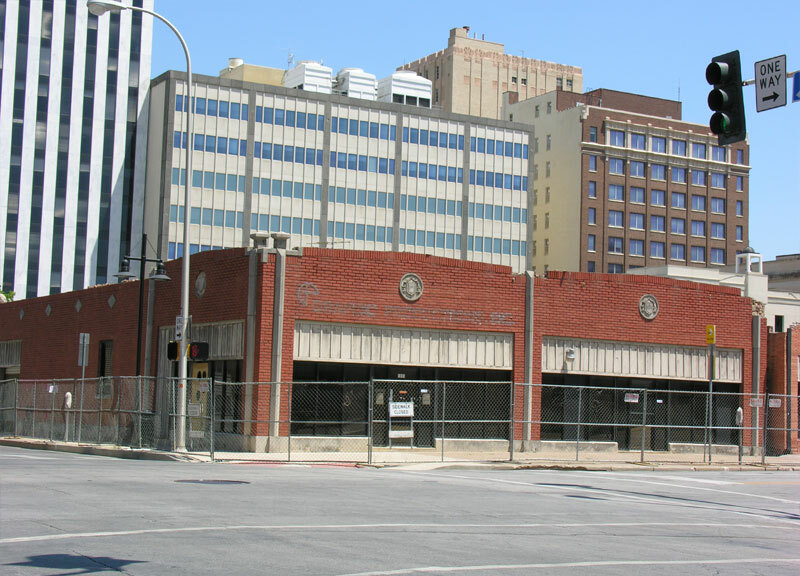 In 2005 Atmos donated the entire complex of buildings and land to the City of Dallas for residential development, and the structure at 1801 Young Street was demolished in 2006. 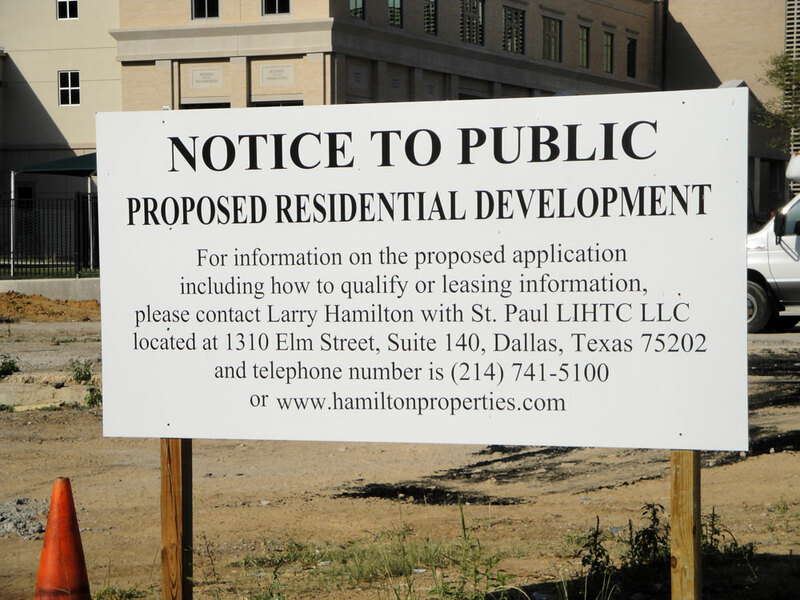 Hamilton Properties begun redevelopment of the Atmos Complex (now known as Lone Star Gas Lofts) in 2011, which will see the the vacant 4-building complex converted into a series of affordable and full-market-rate apartments. This project will pair subsidized housing with upscale residences to create a diverse, urban development that has for so long been desired by city leaders. Wanting to continue the momentum of development in the area Hamilton Properties embarked on a project to develop the vacant property south of Wood Street. Their $14 million proposal includes 146 units – 141 of them dedicated for permanent supportive housing for formerly homeless individuals. Tax credits would fund the project, allowing the development to be debt-free and funnel all income from the project back into resident services. 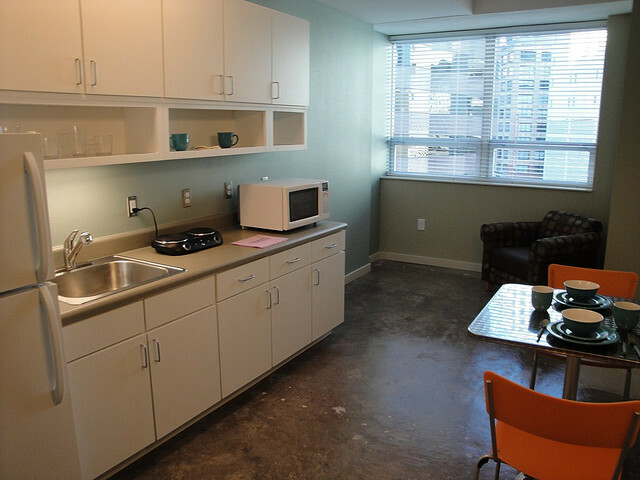 These are the type of projects needed if the Dallas is serious about “ending chronic homelessness by 2014”. The project received strong support from those who viewed the proposal as a well-planned urban project in an area that sorely needs new development. But only weeks before seeking housing tax credits, opposition from parents of First Presbyterian Church’s school raised doubts about the project’s future. The formely homeless, they suggest, present a danger to school children (because this project overlooks the church’s playground) and should not be allowed to live nearby. The majority of downtown residents, however, support the project and the effect it would have on a blighted area of downtown. While some would argue that downtown land should be used for higher-revenue projects, this would be a perfect fit for a relatively small plot of land isolated from the CBD’s core activity. Nearby structures (such as the Butler Brothers Building) have been vacant for decades awaiting redevelopment. But the east end of downtown (including the Harwood Historic District) is seeing a renaissance with developments and residents moving into the neighborhood. 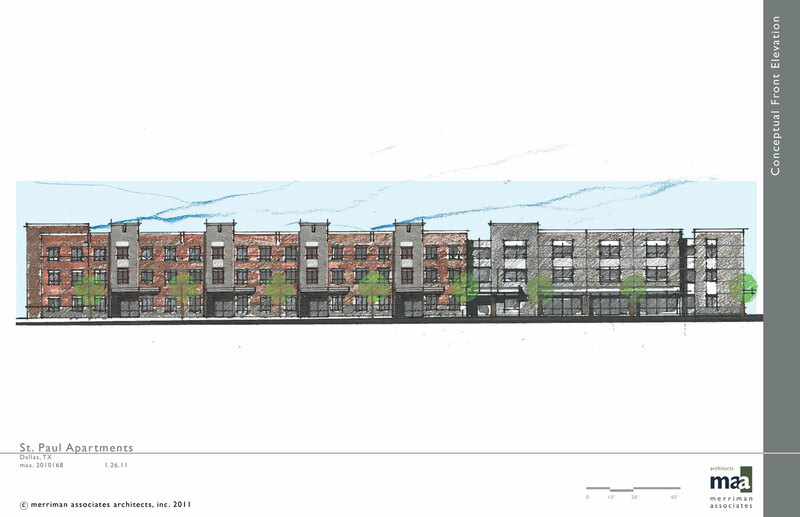 This 3-story project would fill a visual gap in the district and build a connection between the Farmers Market District and Main Street District. Its urban design would result in an interesting facade where nothing exists today; two interior courtyards would provide outdoor living space for the 150 residents. More important is the mission of the project. Shelters in the area provide temporary services to hundreds of people every day, but they do not offer a permanent solution. 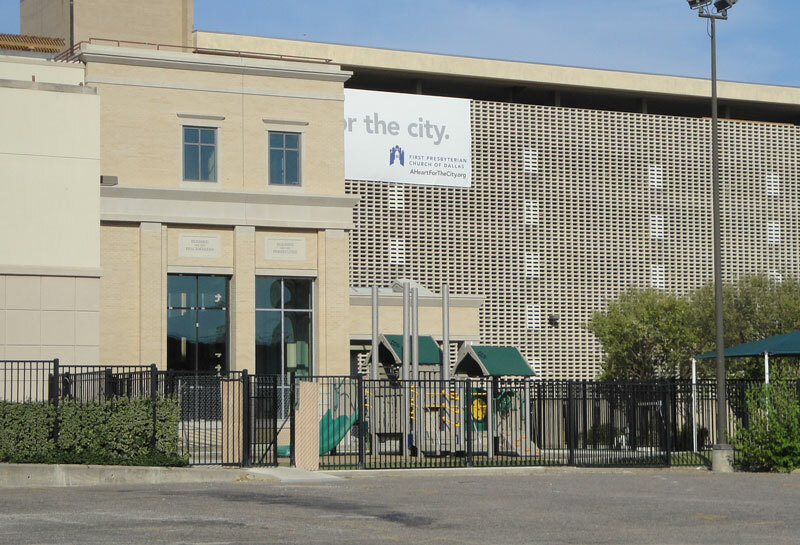 Permanent supportive housing (a relatively new idea to downtown Dallas) is one of those solutions. St. Paul Apartments and similar projects — like the successful (and award-winning) CityWalk@Akard development — are designed to provide basic (but nice) housing solutions to the formerly homeless who qualify through screening and background checks. For those individuals recovering from addictions or needing extra help, on-site counselors and trained staff are present to act as a support system during the process. The community room — a central gathering place for all residents — becomes a vital aspect of the project. Due to recent opposition to the project by a few outspoken individuals, the future of St. Paul Apartments is unclear. Nearby residents should be aware of the challenges facing the formerly homeless and take notice of similar, successful projects in the area. Despite the controversy and confusion surrounding supportive housing, projects like the St. Paul Apartments would be a benefit to the neighborhood and provide a vital service to a community needing assistance. 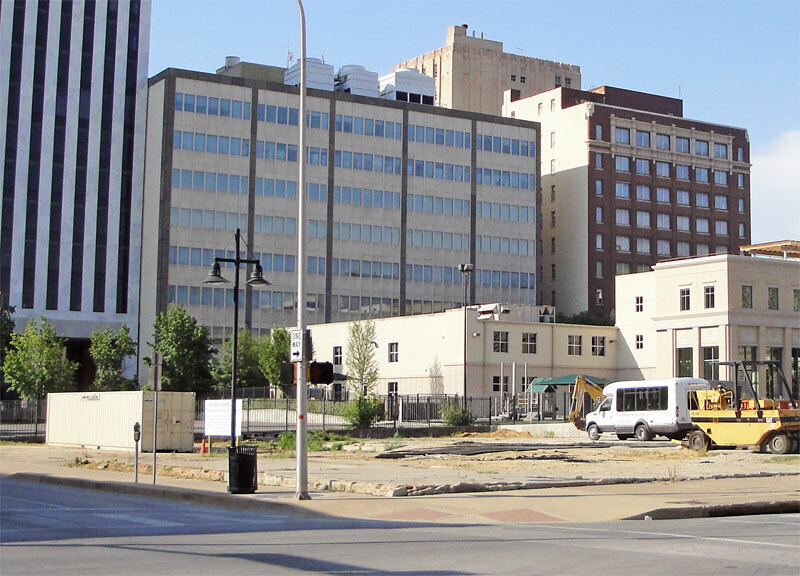 Converting some of downtown’s undesirable, empty lots into development that gives back to the community should be welcomed by businesses, city leaders and residents. New investment in this corner of downtown could result in a truly mixed-income, mixed-use district surrounding the Harwood Historic District. About the author: Noah Jeppson is creative designer and urbanite. As a resident of downtown Dallas for 5+ years he has been active in neighborhood policy, advocacy and preservation. To connect, find him on Twitter as dfwcre8tive.